I found myself in covent garden after work with the urge for pizza and for something new. 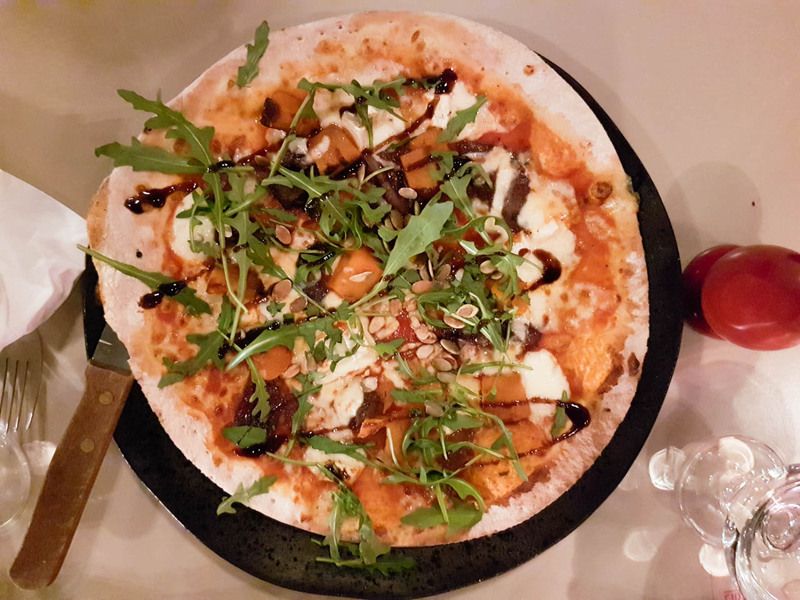 I decided to fire up my tastecard and found Fire and Stone, a Spacious restaurant serving creative pizzas and pasta in a casual cafe-style setting. There are no halal meat options so it was veg for me! 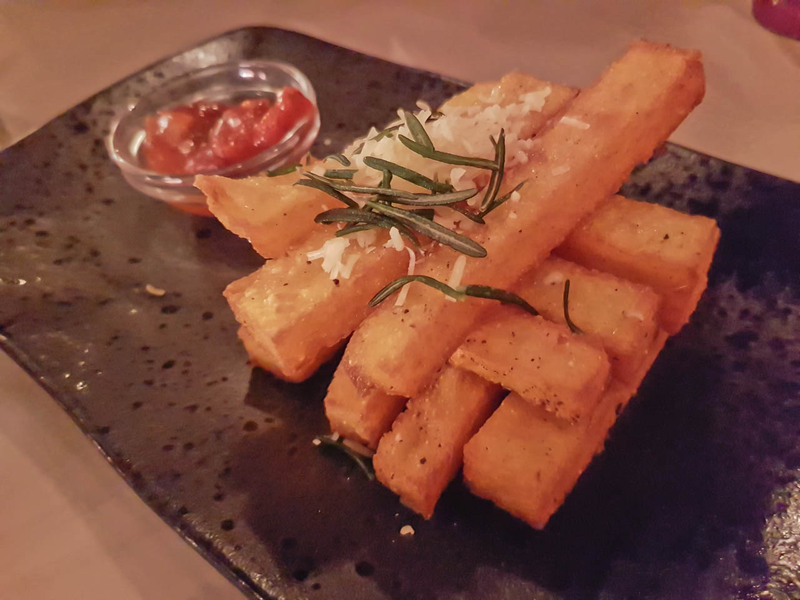 Just got one starter, RUSTIC POLENTA CHIPS £4.45, Crisp fried with fresh rosemary & tomato salsa. I loved this dish! I think i can say it was actually one of the best chips i have had, the accompanying salsa was great. Might be the best chips I’ve had! 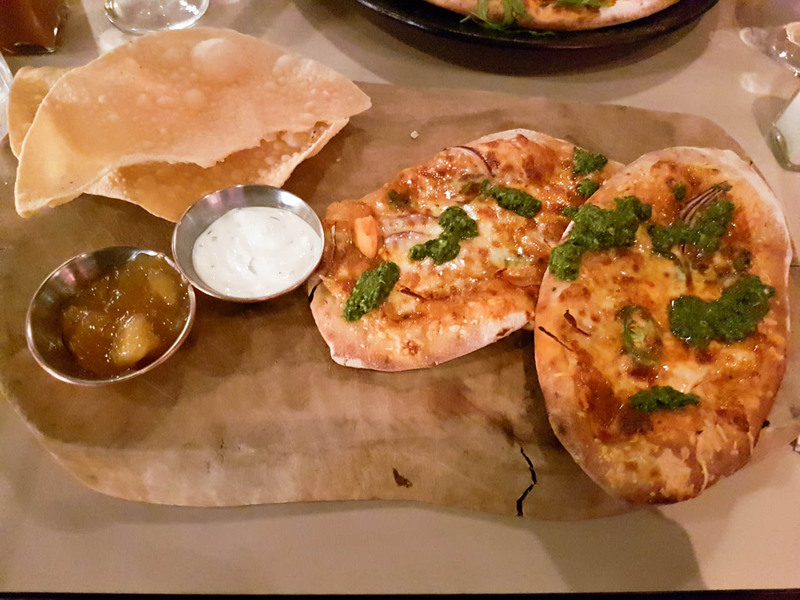 For my pizza i got the Mumbai pizza, Two naan pizza bases topped, red onion, chilies and spinach paneer served with poppadoms, mango chutney & tzatiki. This pizza comes with chicken, so I asked for no chicken on mine. However, when I first got the pizza (which did take around 20mins to arrive) I noticed one piece of chicken on it, i told the waiter who promptly apologised and said he would order me another and make sure it’s done right. When it finally arrived, well, it’s basically some cheap pitta bread made into a pizza. It was okay.. Would i have it again? No, note to self, if you want a pizza, then get a pizza! We also got a “ Melbourne”, Chunks of brie, roasted butternut squash, balsamic red onions, mozzarella, topped with rocket & pumpkin seeds, drizzled with a balsamic glaze, £11.50. This actually tasted like a pizza! Yay. It was a simple but nice pizza i liked the sweetness of the balsamic red onions and glaze. 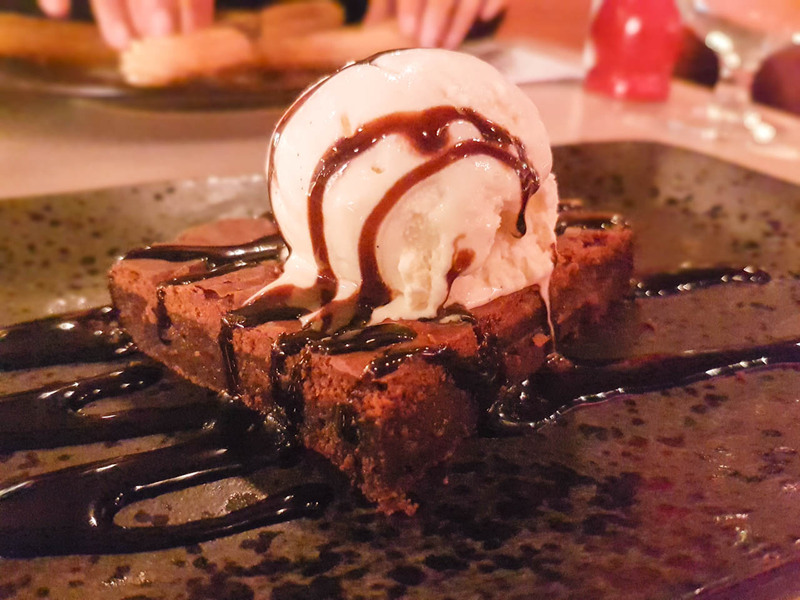 For dessert, we got HOMEMADE CHOCOLATE BROWNIE, £6.25 , With chocolate sauce & Madagascan vanilla ice cream. Really soft and gooey, i liked this dessert. 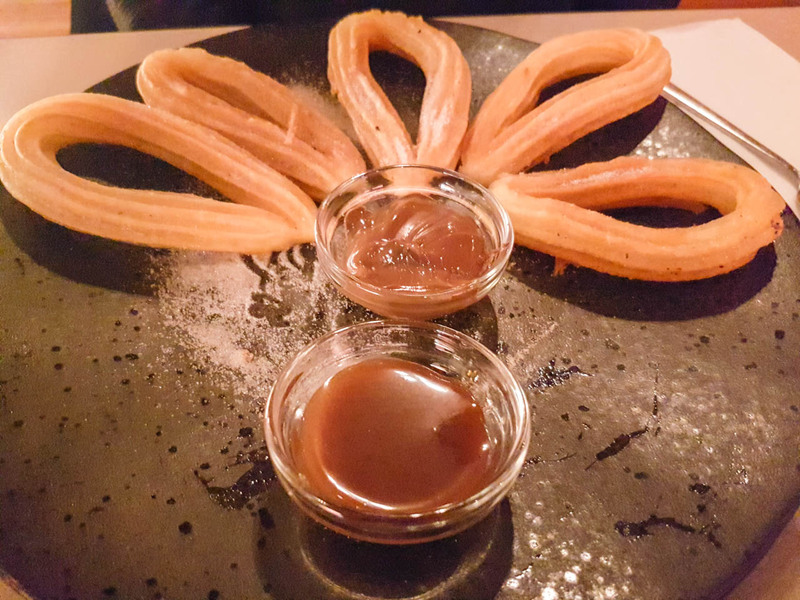 Also got some CHURROS, Crispy cinnamon coated churros strips with Nutella & chocolate sauce dips. £5.25. Because of the order mix up, my Indian pizza was taken off the bill and we also got 50% off as i used my tastecard. So the total came to very low £15, for one starter, 2 pizzas and 2 desserts! Would i go back? Absolutely, armed with my tastecard, I’d definitely get those chips and that dessert again. Hey Buddy!, I found this information for you: "Fire and Stone". Here is the website link: http://halalfoodguy.co.uk/fire-and-stone/. Thank you.